Maccabi Tel Aviv announced one top notch addition to its roster with the signing of German center Maik Zirbes for two years. 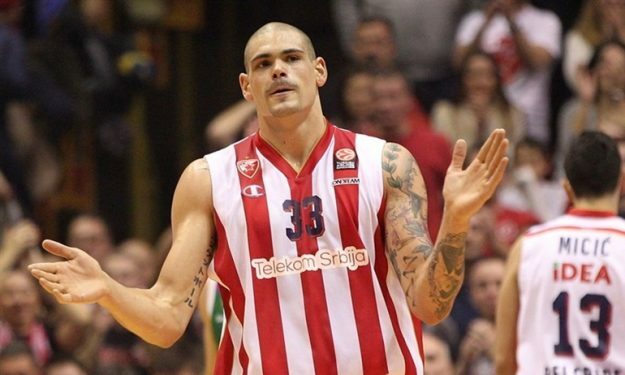 Zirbes has been one of the most dominant centers in last season’s Euroleague, averaging 12.4 points and 6.1 rebounds. His game was pivotal in helping Crvena Zvezda reaching the competition’s playoffs for the first time in the history of the club. With Red Star, Zirbes also won the 2016 ABA League and Serbian Superleague titles. He was also named in the All- ABA League team. By bolstering its frontcourt with Zirbes, Maccabi adds another powerful piece to its puzzle for the upcoming season. Quincy Miller was also announced today as the new member by the Israeli team that is bound on creating a strong squad of players in order to return to successes.